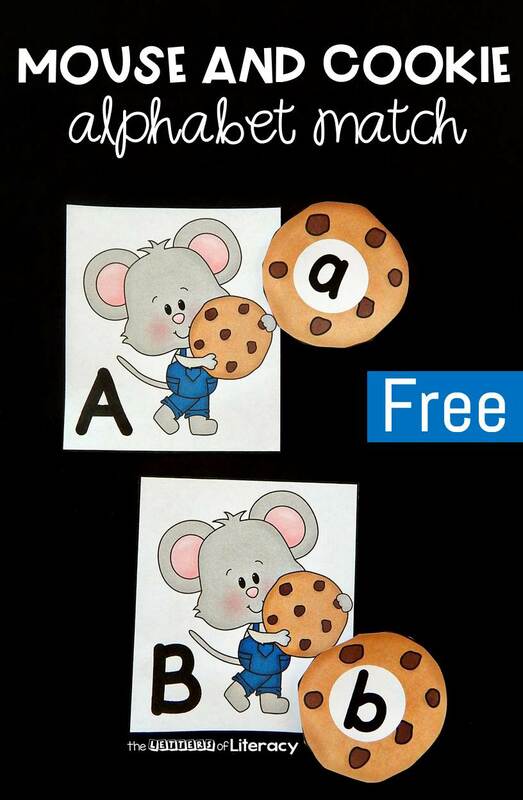 In my class we love reading fun stories, and we love fun alphabet games, so this mouse and cookie alphabet match is the perfect combo! 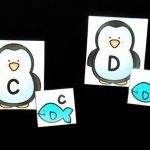 It pairs perfectly with one of our favorite read alouds, If You Give a Mouse a Cookie, and we get to work on matching upper and lowercase letters, too. That’s a win in my book! 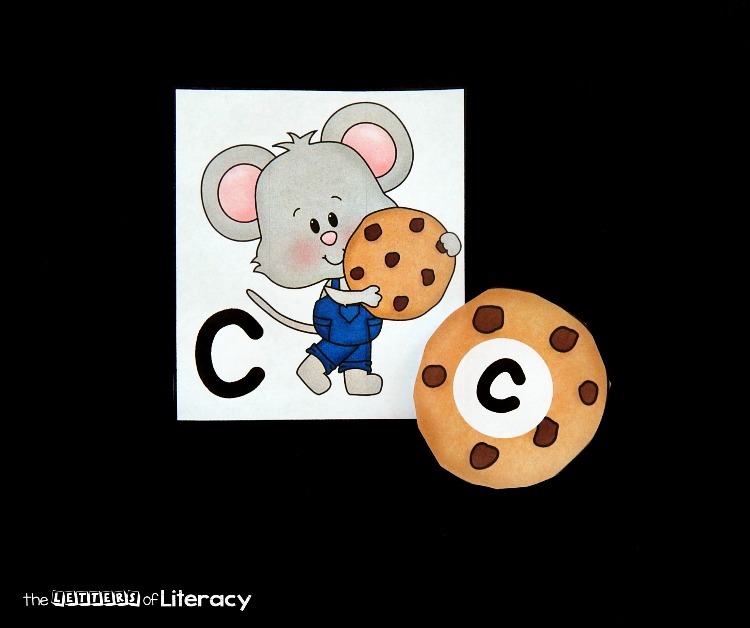 This adorable mouse and cookie match is prepped once, and then used many times, even for years if you print on cardstock and laminate. After I laminated, I cut out the cards on the solid black lines, but I opted to cut the cookies out in circles to make them more “cookie” like. 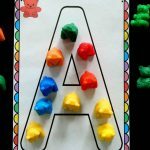 This makes a great center during literacy centers, partner work, or a small group activity. 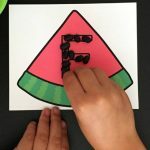 Kids can also work on it independently, but you will want to think about how many letters you place out at a time. 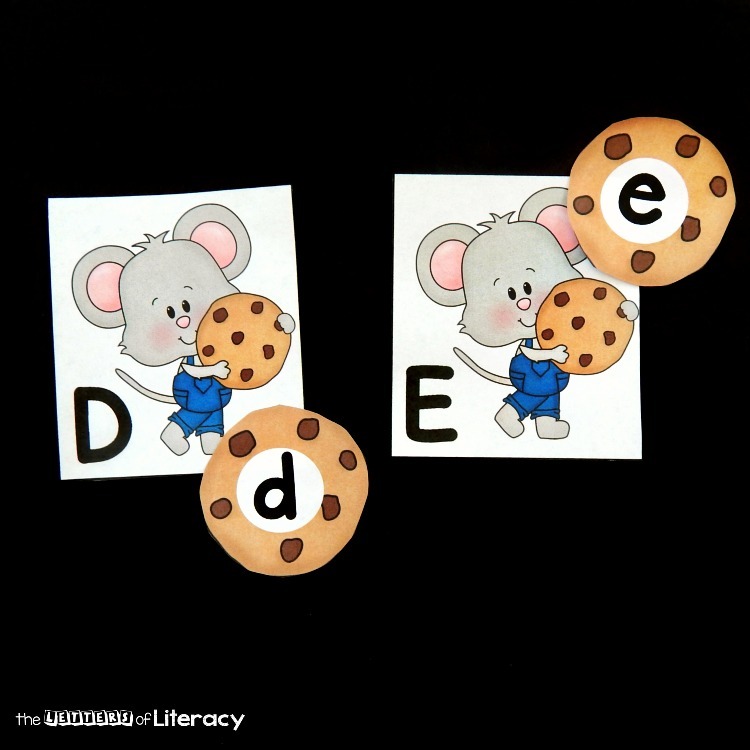 In a literacy center or where multiple kids are working together, they may be ready to tackle all the mice and cookies from Aa-Zz. 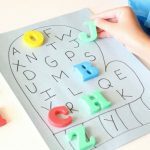 But if a child is learning their alphabet and still new to it, and working alone, they might be overwhelmed with 26 letters and 26 cookies. In that case, I recommend starting with 10 or fewer and working your way up from there. 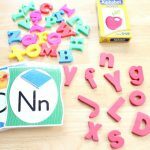 Working with kids brand new to the alphabet? 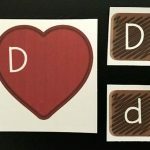 Print two sets of cookies or two sets of mice and have them match uppercase to uppercase or lower to lower so that they are matching same/same! 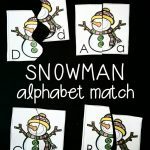 Ready to give this fun alphabet matching game a try with your kids, too? Download your copy by clicking the blue button at the very bottom of this post. 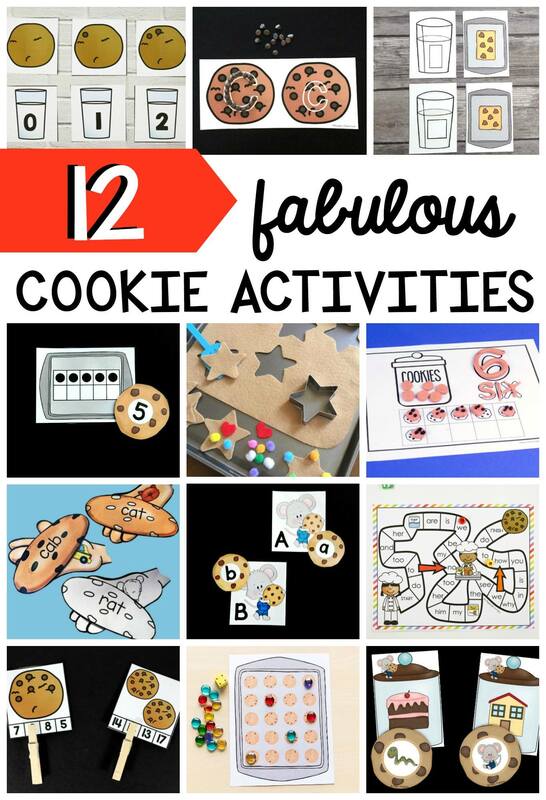 Looking for even more learning ideas with a fun cookie theme? 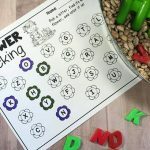 You will love this collection of activities and printables from some of my favorite kids’ activities bloggers!